Flickr / John SpadeNot the alligator involved in the attack. On Tuesday night, a 2-year-old was playing near the water at a Disney World hotel resort when an alligator dragged him into the water. Although the alligator population is on the rise in Florida, deaths at the hands of alligators are not common. At most, the Florida Fish and Wildlife Conservation Commission has recorded three fatalities in a year (2006 and 2001), but for the most part there are few if any deaths. In 2015, there were nine alligator attacks that resulted in a bite, and one death. This is a relatively small number considering that there are an estimated 1.3 million alligators in Florida, where the American alligator population is the largest. That means alligators as much less deadly than other creatures on earth, though the attack is still alarming. “People — even small people — are not their typical prey,” Nick Wiley with the Florida Fish and Wildlife Conservation Commission told USA Today. His theory is that the alligator likely confused the toddler for a dog or raccoon, which are commonly snatched up. Alligators are scaly carnivores looking for food, especially at night and in the water. Their typical prey is fish, snails, frogs, and other small animals. 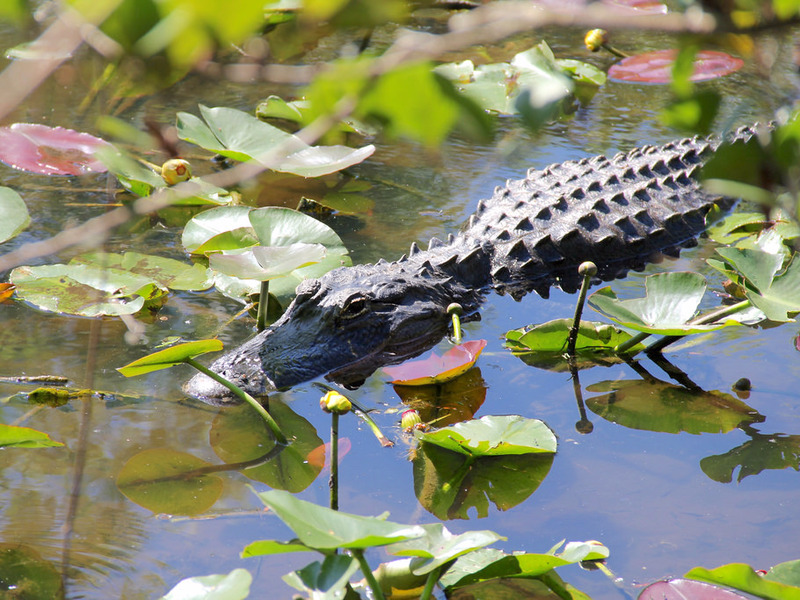 Alligators usually stay under four feet, where they don’t pose much of a problem to residents. Alligators often stay under the water, sensing movement in the water, Live Science reports. When they’re ready, they will lunge at their prey, grabbing onto it and then swallowing it whole (the teeth are there to grab on to the prey, not for chewing). The best way to avoid being mistaken for prey? “Just keep in mind that there might be alligators present. If you think of that, it changes your whole approach,” James Perran Ross, a retired professor of wildlife ecology and conservation at the University of Florida told Live Science. Avoid the water particularly around dusk and dawn when alligators might be at their most active.